O’Donnellan & Joyce auctioneers has 67 properties going under the hammer on Friday July 20 at 12 noon in the Harbour Hotel, New Dock Road, Galway. Registration will be open from 11am. This auction has something for everyone and the selection is vast. The auction includes a host of Galway city and county properties that would be suitable for first time buyers, investors, and owner occupiers. A magnificent family home in a superb location combining style and elegance, this five bedroom mid-terrace townhouse is only a short stroll from Galway city centre. Close to a number of excellent schools and a short stroll from Salthill Promenade. One of the finest houses to come on the market. Immense character and charm, retains many of its original characteristics. A wonderful family home in a wonderful family location. AMV: €725,000. Open viewings Wednesdays and Saturdays 2pm to 3pm. An excellent six bedroom detached home well presented by the current vendor. An abundance of living space throughout this exceptional property with approximately 278sq m floor space. Ideally positioned on Threadneedle Road, one of Galway’s most desired locations. Situated in a friendly residential estate just off of Salthill Promenade. Walking distance to Galway Tennis Club, Galway Golf Club, Salthill village, and an abundance of other recreational facilities. The perfect family home with a host of amenities within close proximity, as well as local primary and secondary schools. AMV: €475,000. Open viewings Wednesdays and Saturdays 3.30pm to 4.30pm. Magnificent ground floor two bedroom apartment presented in excellent condition throughout. Bright and spacious with open plan living and kitchen area. The property has two fully tiled bathrooms. There is also patio space with panoramic views of Galway Bay and Salthill Promenade. Ideally located only a short stroll to Salthill village and Galway city centre. AMV: €250,000. Open viewings Wednesdays and Saturdays 12.30pm to 1.30pm. AMV: €280,000. Open viewings Wednesdays and Saturdays 11am to 12 noon. Ideal home for first time buyers. This semidetached home is adjacent to UHG and NUIG. A wonderful property full of character and potential and only a short stroll from Galway city centre. Offers off-street parking with a gated entrance and substantial lawn. AMV: €295,000. Open viewings Wednesdays and Saturdays 11am to 12 noon. Magnificent residence located in a small enclave of terraced homes, situated in a traffic free cul-de-sac, within walking distance of Galway city centre and easy access of UHG and NUIG. The property which contains a spacious interior with four large bedrooms, would be ideally suitable for someone starting up the ultimate investment with potential for strong residential income. In need of a certain amount of refurbishment and modernisation. Zoned High Density Residential, this site offers an excellent development opportunity and comprises c0.33 hectare (0.81 acre ) together with a semidetached cottage style bungalow on Folio GY42812. The site is located beside An Luasan development, close to Briarhill Shopping Centre and business parks at Ballybrit and Parkmore. The exit to the Galway to Dublin motorway (M6 ) is only 1km away, along with routes north to Tuam and south to Limerick. The third level college of GMIT is five minutes' drive away as are healthcare facilities at Galway Clinic, Merlin Park Hospital, and Bon Secours Hospital. Located on an excellent bus route, offering ease of access to Galway city and all amenities. AMV: €325,000. Open viewings Wednesdays and Saturdays 12.30pm to 1.30pm. Detached residence in much sought after location. Perfectly private setting in the heart of Salthill. Strolling distance to beach front, shops, and all amenities. Ideal family home, located close to a host of schools. This property stands on a lovely secluded site in one of Galway’s premier residential areas. A must see. Parcel of agricultural land on folio GY56462, comprising approximately 4.45 ha (10.99 acres ). Accommodating two large sheds on the land, with one of the sheds extending to more than 1,000sq ft. Furbo village is five minutes' drive away and Galway city is approximately 25 minutes' drive. 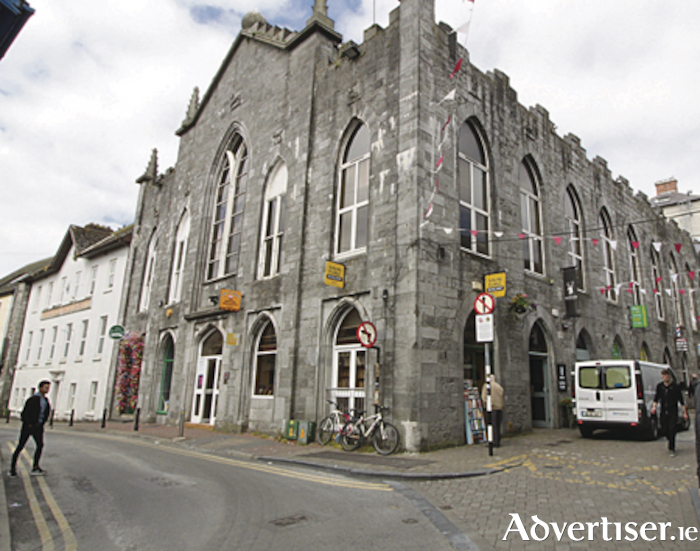 Superb opportunity to acquire a mixed use investment property in Galway city centre. The property is located on Dominick Street in an area known as Galway’s West End with all amenities at its doorstep. This property comprises one ground floor retail unit, currently occupied by Paddy Power bookmakers, two ground floor offices, one of which is occupied, one first floor office currently occupied, and three two-bedroom apartments, two of which are occupied. Viewing is highly recommended for this prime city centre property. AMV: €850,000. Viewings by appointment. Situated in the heart of Salthill village, Glenview House is a privately owned, well managed apartment complex. This spacious first floor apartment has two sizeable bedrooms, a bathroom, and generously spacious kitchen and living room. With well over 70sq m in living space the property offers ample storage, is presented in excellent condition, and has been modernised throughout by the current owners. AMV: €200,000. Open viewings Wednesdays and Saturdays 12.30pm to 1.30pm. Stunning three bedroom detached bungalow located on the much sought after Dunloughan Beach Road, which is moments from the popular surfing beach of Dunloughan and the Connemara championship golf links. This is a great opportunity to acquire a wonderful family home or holiday residence for those seeking to enjoy all of Ballyconneely’s amenities and outdoor pursuits. AMV: €250,000. Open viewings Wednesdays and Saturdays 12 noon to 1pm. Well maintained four bed semidetached home. The accommodation includes a welcoming hall, a lounge with feature open fireplace, and a separate kitchen and dining room. A separate utility room and downstairs toilet completes the accommodation on the ground floor. Oil fired central heating, double glazed windows, private rear garden, and off street parking are among the extras on offer in this wonderful home. AMV: €265,000. Open viewings Wednesdays and Saturdays 5pm to 6pm. Prime development lands for sale, in an excellent central location in Moycullen village. Comprising approximately 3.25 acres on Folio GY24634, this land is zoned Town Centre and Commercial. This is an incredible opportunity to acquire a prime parcel of development land with enormous demand for housing in this location. Five bedroom semidetached property located within a stone’s throw of Cluain Mhuire which is the arts campus of GMIT. This property is presented in superb condition. Wellpark is regarded as one of the best locations – this is an ideal owner occupier home or indeed a great investment, as GMIT and NUIG are within easy reach and the city centre is a leisurely stroll away. AMV: €270,000. Open viewings Wednesdays and Saturdays 2pm to 3pm. Stunning four bedroom detached family home in pristine condition. This home benefits from a private west facing garden with a raised patio, large storage shed, and off street parking. The property contains a large extension on the ground floor with a west facing family room. There is also a self-contained annex to the side. Convenient location within minutes of a host of local schools and sporting facilities and on an excellent road and bus network. Viewing is highly recommended and guaranteed not to disappoint. AMV: €585,000. Open viewings Wednesdays and Saturdays 3.30pm to 4.30pm. Five bedroom city centre residence with enormous commercial potential and a rare opportunity to acquire a city centre townhouse. This property is a true gem, located opposite the courthouse, and would be suitable as barristers’ rooms. With a large yard to the rear, this property would benefit from some refurbishment. One of the best locations in Ireland for teaching watersports. This sale includes all buildings, equipment, phone, and website together with approximately 1.5 acres of land (zoned Amenity ) with access to Galway Bay. Potential for future development subject to planning permission. Turnkey business ready for operation. Excellent repeat business from summer camps, language schools, school tours, corporate and sports group team building, birthday parties, hens, and stag parties. Individual and group lessons, and weekend package tours. Licence for use of Rusheen Bay from the Department of Arts, Heritage and the Gaeltacht (transferable to new owner for same activities ). This modern architecturally designed property has been designed to maximise the panoramic breathtaking views over the fishing harbour and out to Rossaveal. AMV: €230,000. Open viewings Sundays 3pm to 3.45pm. Two modern commercial vacant office units. Fitted to a high standard suitable for various uses. Including private off street access being offered for sale collectively. AMV: €60,000. Open viewings Sundays 4pm to 4.30pm. Development land of approximately 3 acres, zoned Village Centre. The development site is located in the centre of Carraroe village just off the main street and is close to all schools and amenities. Fantastic central location, strolling distance of Galway city centre and Salthill. Two bed mid-terrace property would be an ideal investment or starter home. Rear garden offers a south westerly aspect and there is on street parking to the front of the property. Only five minutes' walk to Quay Street and all that city centre amenities offer. AMV: €195,000. Open viewings Wednesdays and Saturdays 11am to 12 noon. Perfect city residence and due to its central location, a quality investment. Lovely three bed end of terrace townhouse spread over two floors. This beautiful modern townhouse is in mint condition throughout. Located in a small development of 16 apartments/townhouses overlooking a landscaped courtyard, this is the perfect city residence. AMV: €190,000. Open viewings Wednesdays and Saturdays 3.30pm to 4.30pm. Spacious retail unit, formerly O’Neill’s Cycle Shop, located in Tuam town centre. Tuam is a vibrant town within a 30 minute drive of Galway city centre. Ideal investment property. Option to purchase car park space which could be converted to a residential unit (subject to planning permission ). Modern apartment located within a secure gated complex. Situated just a leisurely stroll from GMIT, Merlin Park Hospital, and Bon Secours Hospital. The property can be used for individual use as it is not part of the pooled rental system. Ideal owner occupier or investment property. Four bed semidetached house with large rear garden and off street parking to the front. Close to NUIG and UHG and within walking distance of Salthill Promenade and Galway city centre. Ideal starter home or investment property. See the agent's website www.odonnjoyce.com, www.myhome.ie, and www.daft.ie to view the full list of properties on offer which includes properties in areas such as Galway city and County, Mayo, Roscommon, Sligo, Donegal and Limerick. Details are available from the auction team at O’Donnellan & Joyce auctioneers, 5 Mary Street, Galway, 091 564 212.